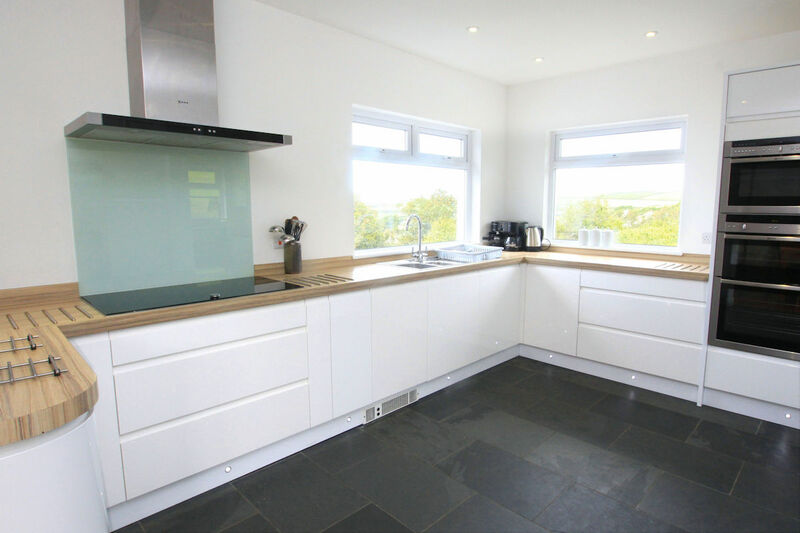 Fantastic views over the village and out to sea from this fabulous 5 bedroom home in Croyde! 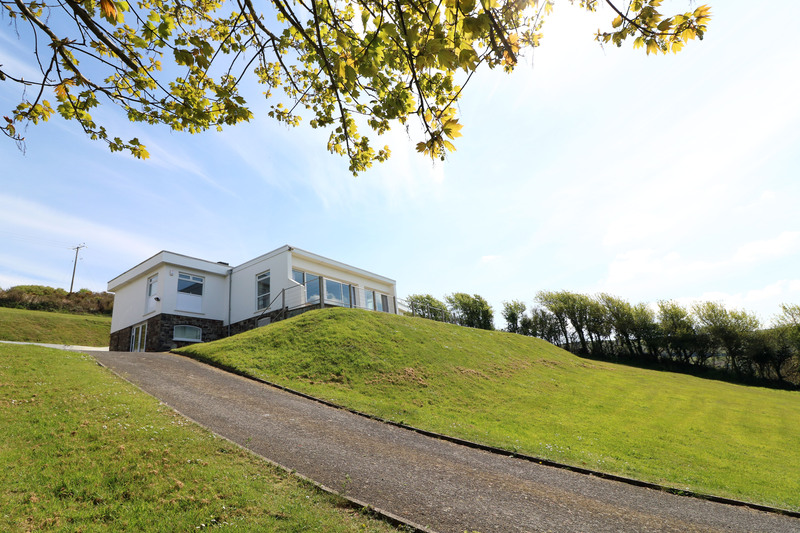 Luckenborough provides spacious accommodation set in large (sloping) gardens, ample parking and sleeping up to 10. 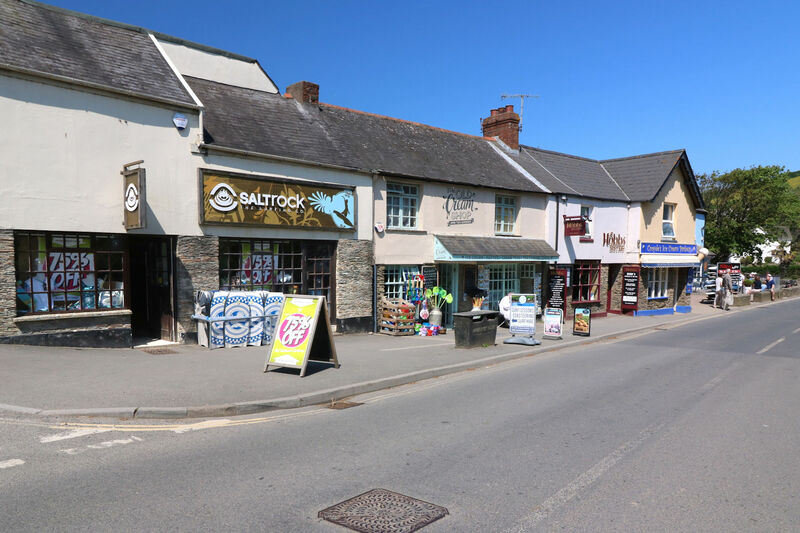 Short walk to Croyde village center and approx 10 minute walk to the famous surfing beach. 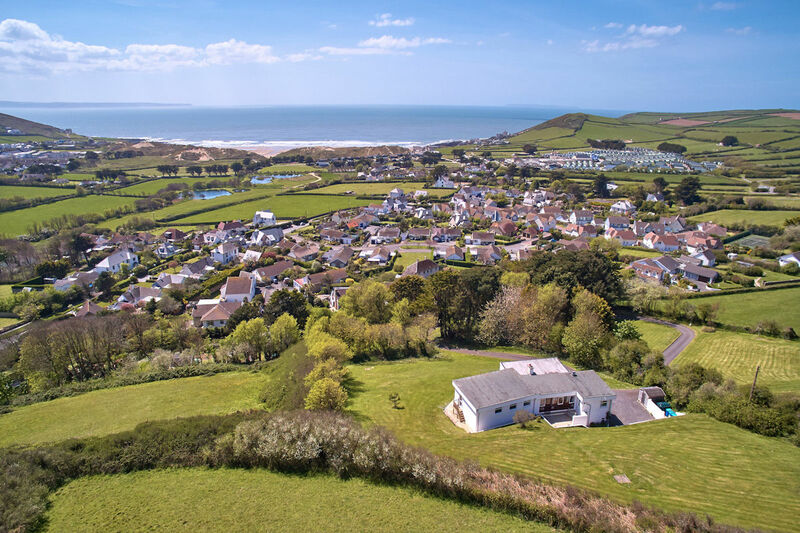 Luckenborough is set in a wonderful elevated position surrounded by an acre of private garden and enjoying some of the best views in Croyde! 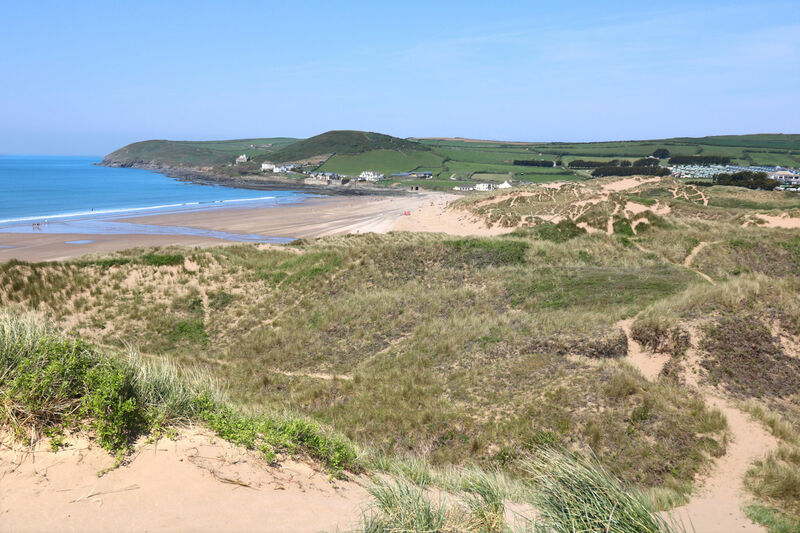 Spacious accommodation and luxury kitchen and bathrooms make Luckenborough the ideal holiday home for large families or two families wishing to holiday together. 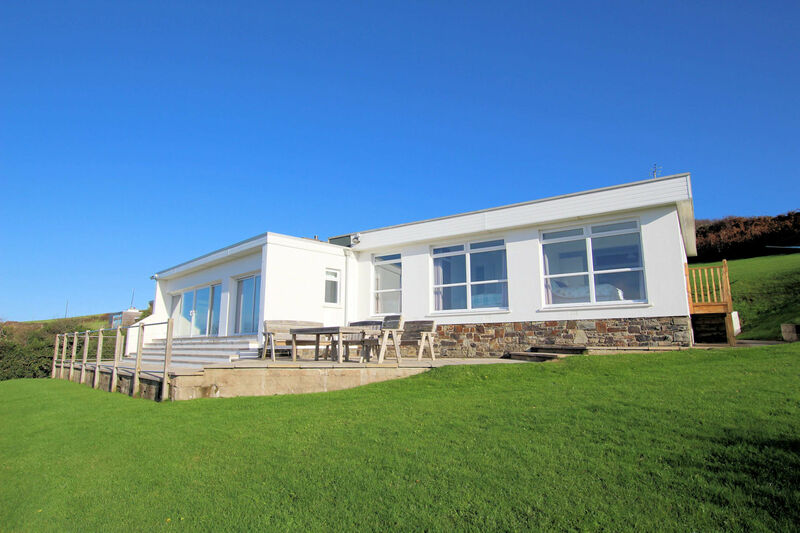 The large entrance hall opens into the open plan kitchen/dining living room which enjoys fantastic views over the gardens and out to sea. 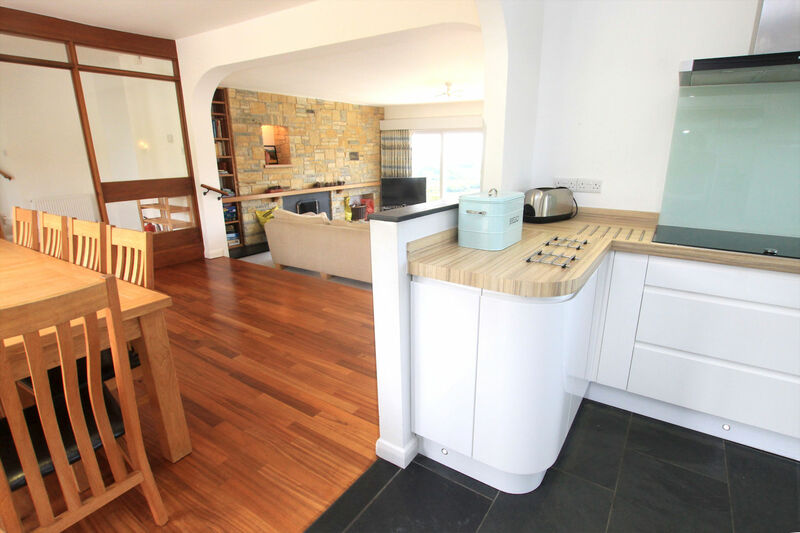 The dining area has seating for 10 and a few steps lead down to the spacious and comfortable living area with large sofas and cuddle chair, flat screen tv with freeview, DVD player & stereo. The open fire is an added bonus for the cooler months and fabulous views can be enjoy from the full length sliding doors leading out to the terrace. 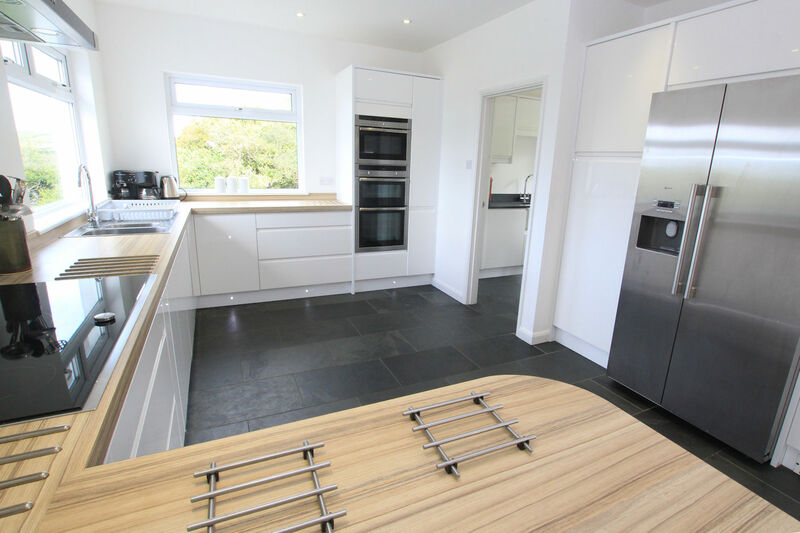 The contemporary kitchen is well equipped with electric double oven and built in microwave, induction hob and large fridge/freezer. A seperate utility room provides a sink and washing machine. The master bedroom is spacious and light with sliding doors leading out to the terrace and garden. A super king size bed provides plenty of space and can be split into twin beds on request. Flatscreen TV with freeview plus modern en-suite shower room with double walk in shower with drench head plus adjustable shower head , WC, hand basin and heated towel rail. Bedroom 2 is located downstairs and provides plenty of space with flatscreen tv and doors out to the side terrace. Super king size bed can also be split into twin beds on request. 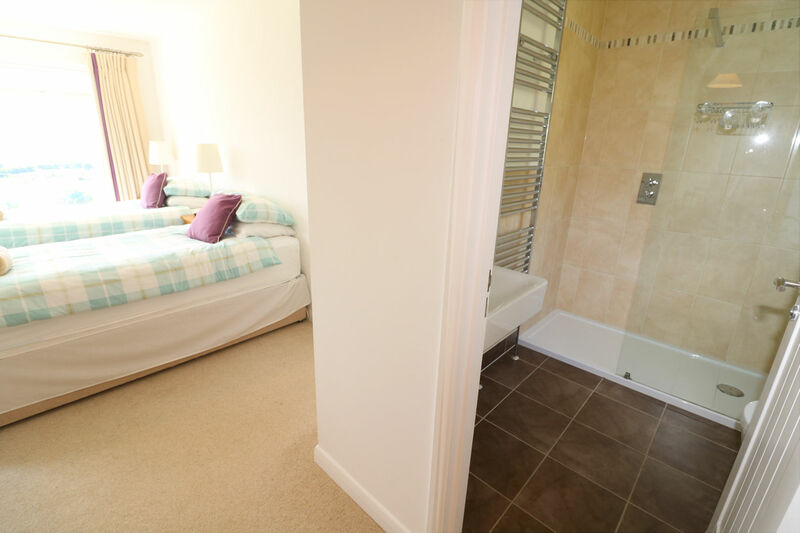 En-suite shower room with shower, WC, hand basin and heated towel rail. 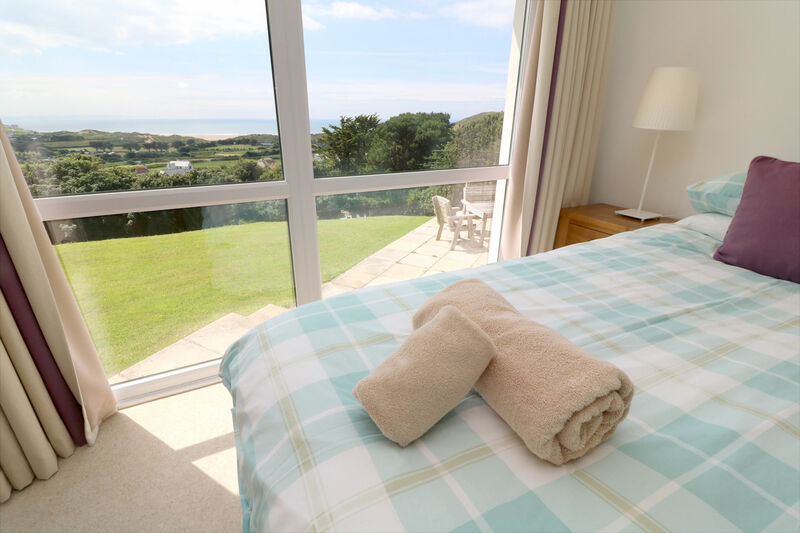 Bedroom 3 provides a super king size which can be split into twin beds on request and has wonderful sea views. Bedroom 4 is a twin bedroom and can be made up as a super king on request. 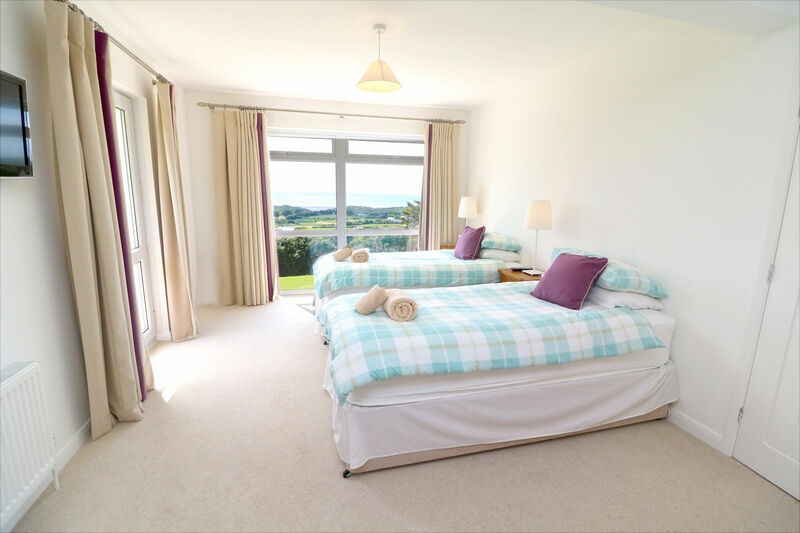 Bedroom 5 provides a double bed and also benefits from the lovely sea views. The contemporary family bathroom provides a bath with over head shower, WC, hand basin and heated towel rail. A further shower room with drench head shower plus adjustable shower head, WC, hand basin and heated towel rail. Outside the long sweeping drive leads up to the parking area with ample parking. A large terrace to the front provides outdoor table and chairs, perfect for 'al-fresco' dining and enjoying the beautiful sunsets over the bay. A coal BBQ is provided for your enjoyment plus lockable storage shed for bikes and surfboards. Children will enjoy exploring the acre of lawned garden, please be aware that some areas are quite steep. One well behaved dog is accepted at this property. We had a brilliant stay at Luckenborough with a family get together to celebrate our lovely Mum's 90th birthday. We were a party of 9 adults and 3 children ranging from 13 months old to 90 years old. 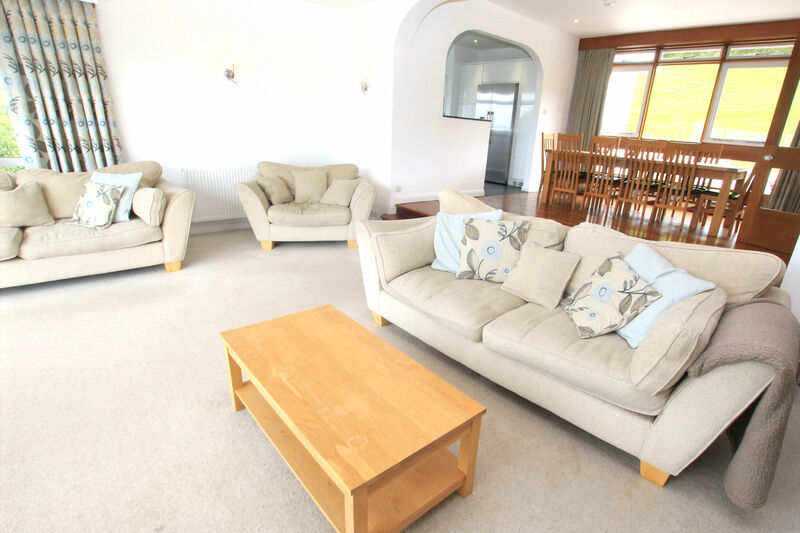 The house is really well equipped and well designed for large groups. There is plenty of space available both within the house and the surrounding grounds. 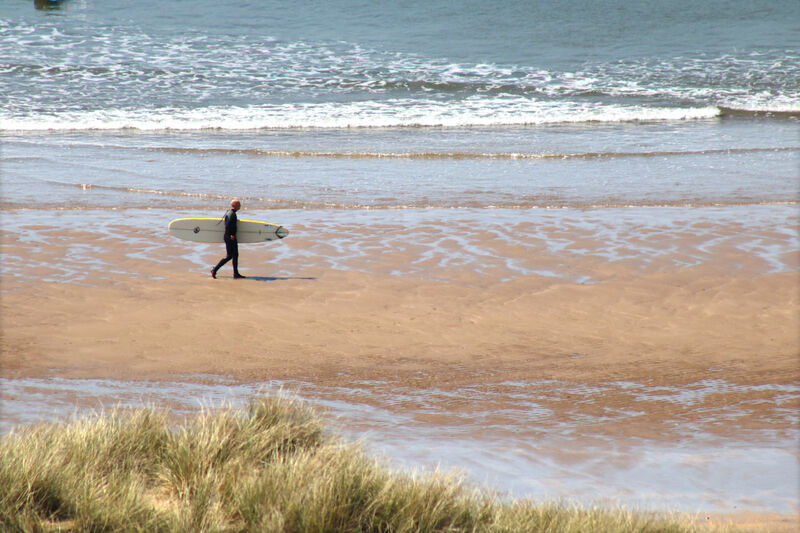 Easy access to the beautiful beaches and the coffee shops in Croyde. 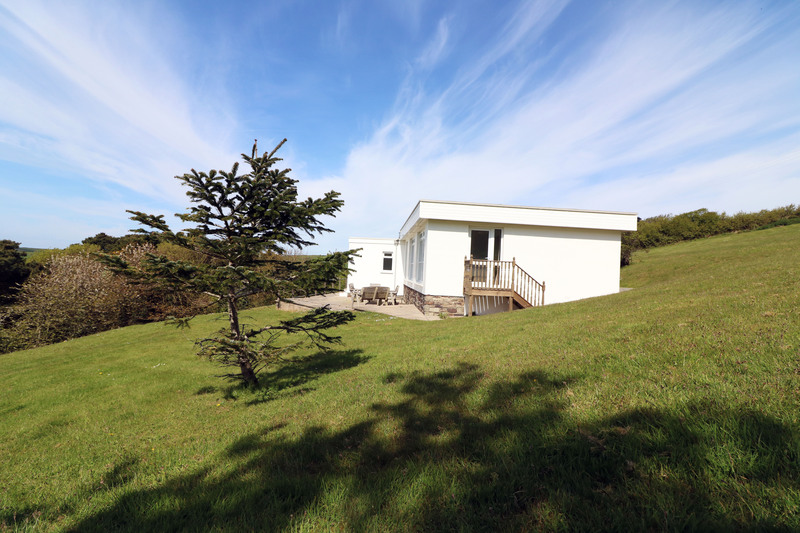 Booking through Ocean Cottages was professional and easy and we had speedy, friendly support with a stuck window. Cannot recommend this house highly enough. We hope to be able to return again next year. Thank you Ocean Cottages! Amber weather warning!! Sun, sea and snow. Sledging on the front garden was fun. Next time the north face of the garden - maybe!